The current driver for real estate values in Bulgaria, the income levels and domestic demand of the population, are set to result in a stable annual growth rate of 5-6% of real estate prices, Curtis M. Coward, CEO of the Arceland asset management fund told Novinite.com (Sofia News Agency) in an interview. According to Coward, who is also a member of he Bulgarian Land and Property Owners Association (BULLPOA), that is a reliable, understandable, and credible number for a decade, as opposed to 20% or 30% or 40% for 18 months or so. Although Bulgarians are the poorest people in the EU, he says, the growth in people's income levels is one of the fastest because it is from such a low base, so as a percentage it is growing much faster than in the EU generally. Citing the proposal of the Bulgarian government to increase the minimum wage by 12.5% in September, he points out that this is "an astronomical figure", compared to the 1, 2 or 3% increases that can be observed in other countries. In Coward's words, however, Bulgaria has lost some of its attraction as a destination for real estate investment due to the deflated hopes surrounding its EU accession. "Three years ago there was a huge inflow of what I call "hot money" around the EU accession. People got very excited and extrapolated that Bulgaria is going to become like the UK or something like this... Not so fast! Probably too much money came in too fast", Arceland's CEO remarks. He believes that the impact of the catastrophic financial crisis on Bulgaria is gradually fading away, adding that, although the country had nothing to do with the meltdown, it was swept by it like a tsunami. Regarding investment in the different types of real estate, he highlights farm land as the soundest investment. "Bulgaria has an enormous potential that is unfulfilled at this point in terms of its agricultural development. ", he states, adding that "on the other hand, if you want to talk about residential, or commercial, or office - those are very different stories. " In his opinion, there has been a huge explosion of retail space n the last year, particularly in Sofia. "There are 3 or 4 malls that have been delivered in the last year so I think we are at a balance now. I think there is more retail capacity than maybe the city can absorb quickly, so that would be a more difficult area. The same goes for offices because so many of these complexes are office and retail together. There has been an enormous delivery of inventory particularly in the Class A level, office, and again you see a sharp drop in lease rates, rental rates, because there is so much supply competing for good tenants. It is like a sign curve, it will go up and down, up and down. Over time, Bulgaria needs more of everything - it needs more offices, more residential. Particularly residential, especially in the big cities, and in Sofia in particular, because the housing stock is generally in such poor condition. " According to Coward, one of the biggest public policy challenges for the Bulgarian government is going to be how to transition people out of panel block apartment buildings that over time are going to become unsafe. "We think residential over time is a very solid investment and we think that will continue for at least a decade as well", he concludes. » What is the Future of Real Estate in Sofia? 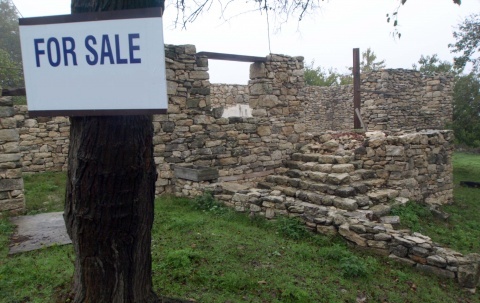 » For How Long will Housing Prices in Bulgaria Continue to Increase?